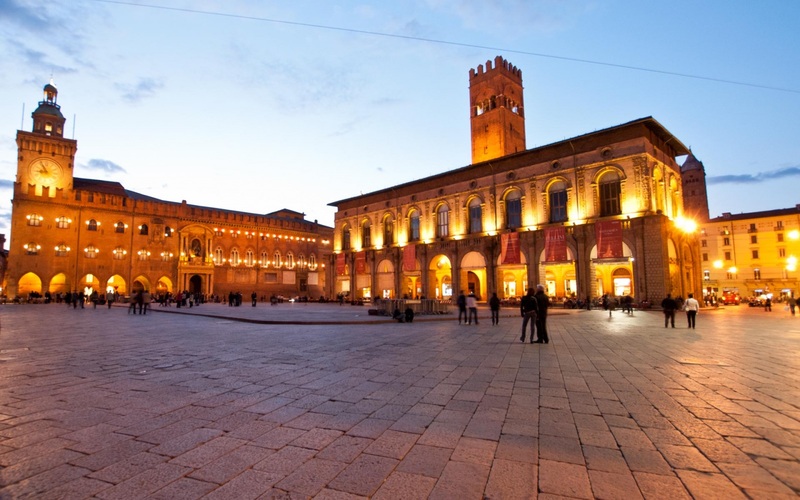 One of the wealthiest cities in Italy, Bologna is famous for its politics and its university. The student population of Europe’s oldest college is still quite outspoken in its political beliefs, and in concert with one of the country's better-organized gay communities, lends a dynamism to the local atmosphere that you won’t find anywhere else in Emilia. Combine its youthful energy with an unstinting emphasis on the arts, and it is no wonder that Bologna was awarded with the prestigious “European Capital of Culture” award in 2000. 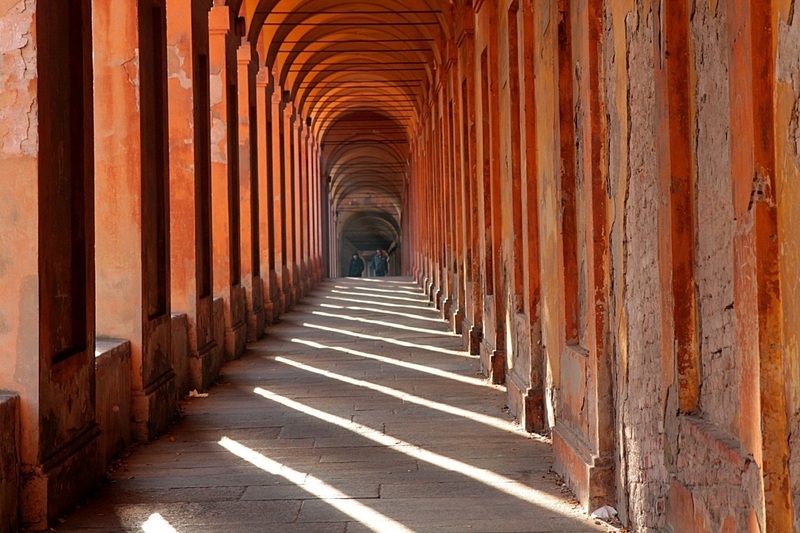 Bologna started life in the 6th century BC as Felsina. The capital of the Etruscan Po River plains territories for two centuries, it was renamed Bononia by the Gauls, and maintained its status as a major city in the region for another two hundred years. As the Western Roman Empire crumbled, however, Bologna became increasingly exposed to attacks from the north, and was subsequently sacked and occupied by a succession of Visigoths, Huns, Goths and Lombards. Still, it survived, reaching its apogee as an independent commune and leading European university in the 12th century. Wealthy families who took up residence in Bologna started a building frenzy and left their mark by erecting towers - 180 of them altogether – 15 of which are still standing today. Unfortunately, the endless wrangling between the papacy and the Holy Roman Empire for secular control of the Italian north could not help but have a major impact on the city. Originally in league with the Guelphs (who backed the papacy) against the Ghibellines, Bologna went its own way in the 14th century. In the early 16th century, a popular rebellion against the ruling family of the time opened the door to papal troops. The papacy took control of Bologna in 1506 and did not let go until the city joined the newly formed Kingdom of Italy in 1860. During heavy fighting in WWII, some 40% of Bologna's industrial buildings were destroyed, but the historical town inside the walls remains, to the delight of all who visit it. We’ll meet our guide at the “Stazione Centrale”, the main train station in Bologna, which is easily reached from any of Italy’s major cities, and transfer to our hotel. We’ll learn more about Bologna’s cultural highlights and culinary traditions over lunch, which we’ll follow with a walk through Bologna’s historic center. As we take in the city’s remarkable art and architecture, we’ll also stop in at several shops of local interest, including the “Liutaio”, home to a violinmaker, and the “Libraio”, where books are assembled by hand. Dinner is at a traditional trattoria bolognese. In the morning we’ll drive for an hour or so to the hills south of Bologna, where the Apennine Mountains rise from the Po River plains. We’ll begin our guided walk at Brento and climb to the top of Monte Adone, from which we’ll have a spectacular view of the Setta River Valley. We’ll explore the Monte Adone ridge, which is lined with trenches dug by the Germans during the Second World War as a part of their attempt to stop the Allied troop advance in 1943-44. We’ll stop for lunch at a farmer’s house, where we’ll enjoy tagliatelle, a homemade egg-based pasta, with Bologna’s typical sauce, ragù. After our meal, we’ll stroll to the top of the hill overlooking the house, where we’ll be in for a pleasant surprise. This evening, we’ll meet again for dinner in another of Bologna’s wonderful trattorias. In the morning we’ll drive to the hills outside of Meloncello, where we’ll begin our walk up to the sanctuary of San Luca. The sanctuary looks out over the plain and the city, and is reached via a portico built in the 16th century that allows visitors and pilgrims to make the entire trip under a protective roof. The church itself houses a beautiful medieval painting of the Madonna, Bologna’s traditional protector. After a short rest on the steps, we’ll walk down the wooded hills on a secondary trail to San Martino, a church smaller than the sanctuary, but quite beautiful in its own right. From here, we’ll pick up a walkway built especially for pedestrians, which will take us back through elegant suburbs to where we began. After a short rest at the hotel, we’ll drive out to a magnificent 19th century villa, where we’ll take a cooking class with a professional chef. We’ll learn how to make traditional Bolognese pasta from basic, fresh ingredients, and enjoy the fruits of our labor for dinner. Our guide will be happy to help you with planning the best route to your next destination… or will assist you in searching the housing market, if you’ve decided not to leave. Group minimum 6, maximum 12; includes accommodations (magnificent neoclassical villa, easy walking distance to city center), all cultural visits, 2 dinners, 1 lunch, cooking class, transportation, guide and driver costs. Bring your appetite… begins with an insider’s look at Bologna’s city center, and includes a walk along the former Gothic line in the nearby Apennines and a cooking class with a professional chef; along the way there will be many opportunities to sample both the rustic and refined Emilian-Bolognese cuisine.